Alain Wong is Career Services and Community Lead at Lighthouse Labs Montreal. 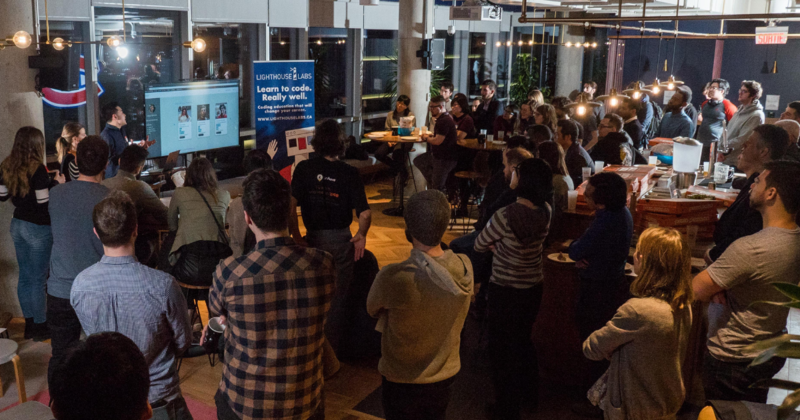 Since joining Lighthouse Labs last summer, I’ve attended five Demo Days in Montreal, and each one has a special place in my heart as we see passionate new developers grow and graduate into the Montreal community. 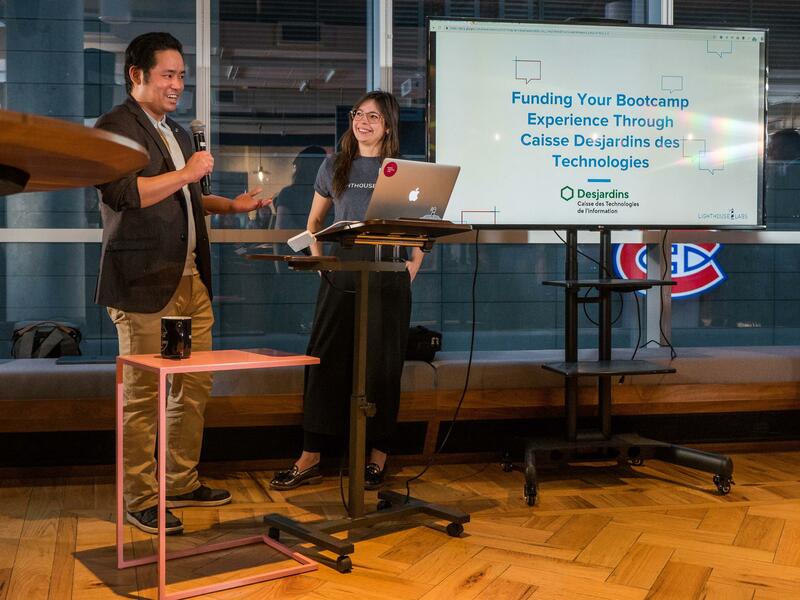 On March 14th, we hosted our 12th Demo Day in Montreal. In addition to having three exciting app presentations, we also announced some big news: our upcoming move to the Mile End, and our new financing partnership with Desjardins. AirIQ, a web app that notifies you of upcoming air quality changes around the world and offers personalized recommendations based on your profile settings. PearUp, a web app to match people in a shared space to exchange interests and build a sense of community. Propfile, a web app that gather important data about properties in Montreal. This last one was special as alumni Olivier Martin presented his new startup as part of the Fintech Cadence incubator. 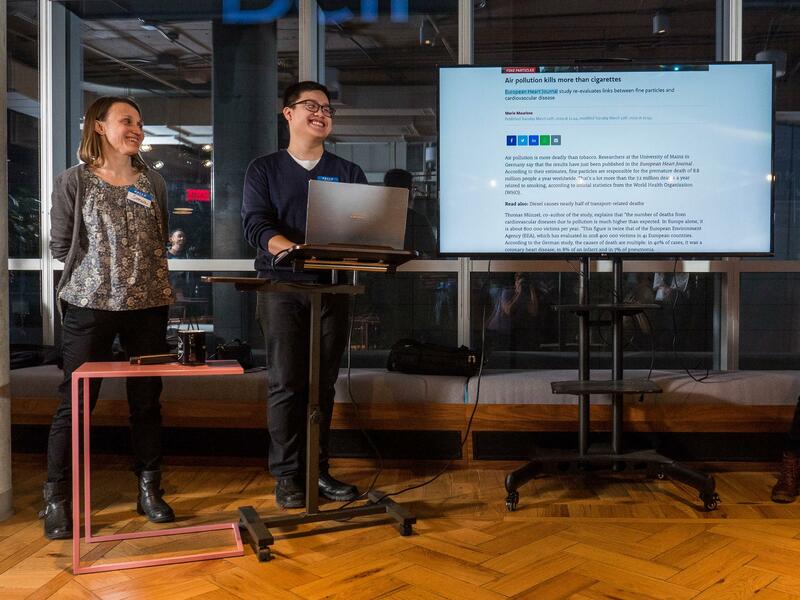 The team of Leslie Plumb, Justin Mao and Sonia Barret de Nazaris built a mobile app to easily consult the air quality around you based on your geolocation. Based on your individual profile (medical history, active athlete, urban commute), you receive personalized recommendations for your daily life from AirIQ. For example, if smog is particularly strong one day, the app might recommend that you avoid jogging outside, or reduce your outdoor cardio workout in favor of an indoor activity. You can also sign up and receive just-in-time SMS notifications notifying you of changing air conditions. 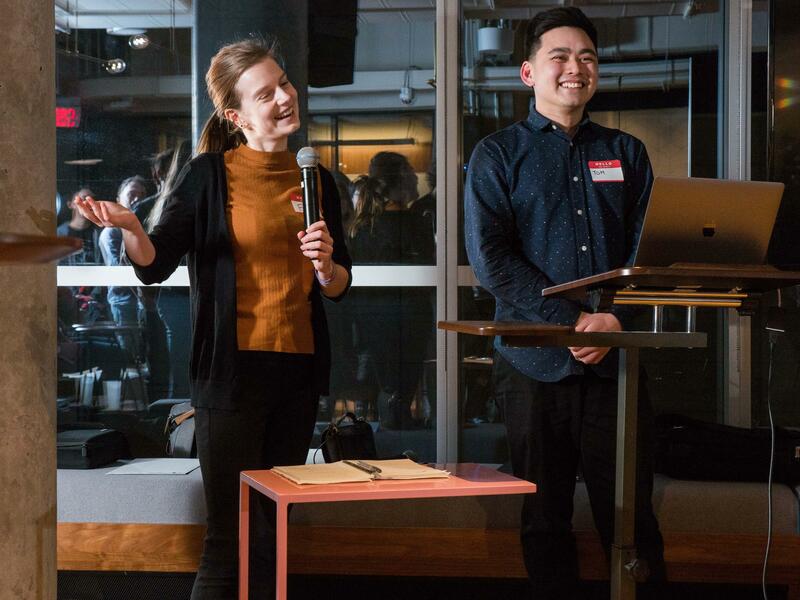 Frances Granger and Tom Na Thalang encourage you to make new friends at work with Pear Up, a new meeting and networking app. The app’s goal is to match you with other people in a shared space to exchange interests and build a sense of community. 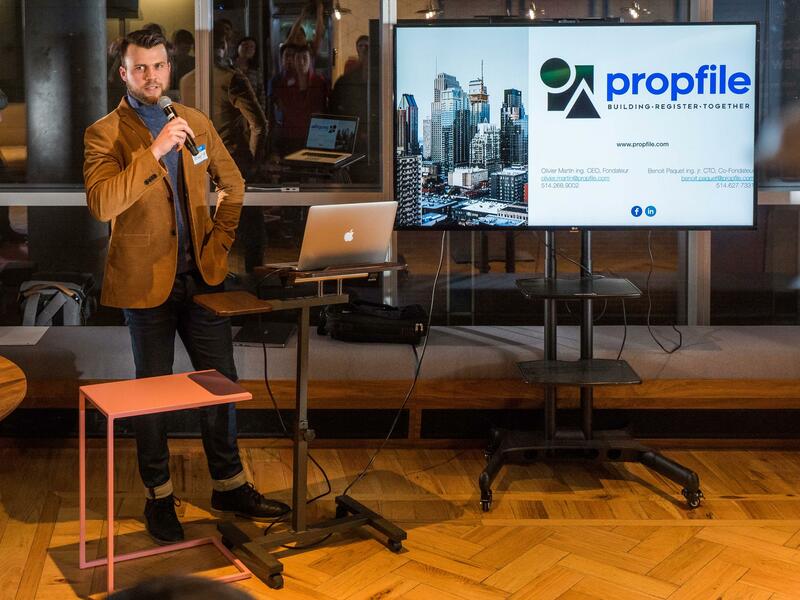 Founded by alumni Olivier Martin, Profile is a building register for owners and investors that brings together essential data about properties in your city, so that you can make informed decisions regarding maintenance, repairs and sales. Most property information today is still stored on paper files, and this market is ripe for innovation. Demo Day was an opportunity for our Montreal staff to announce two big news: our move to the Mile End, and our new partnership with Desjardins. After a year at WeWork L’Avenue downtown, Lighthouse Labs Montreal is expanding, and we expanded from 1 to 3 classrooms at Spaces Mile End on April 1st. We’ve also partnered with Caisse Desjardins des Technologies de l’Information to provide new financing solutions for our program. Desjardins’ investment in the Lighthouse Labs community lowers financial barriers by providing loans to cover the full tuition of the education we provide. Ready to make the jump? Apply today!